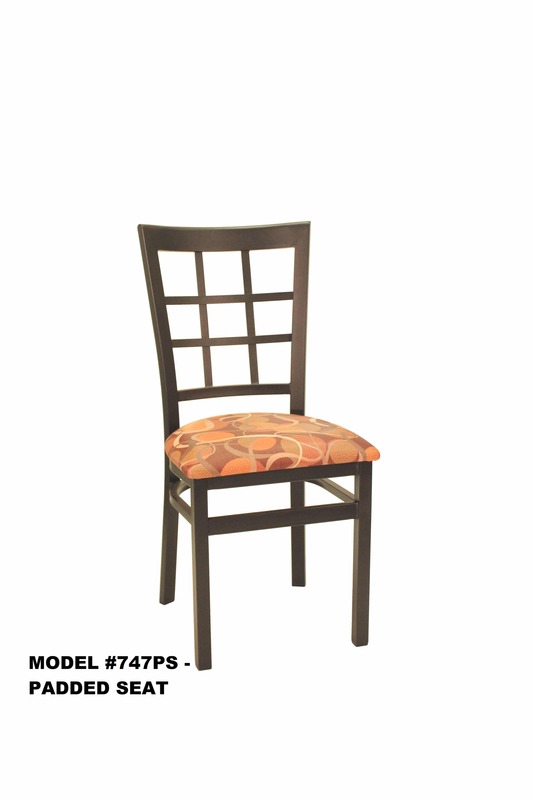 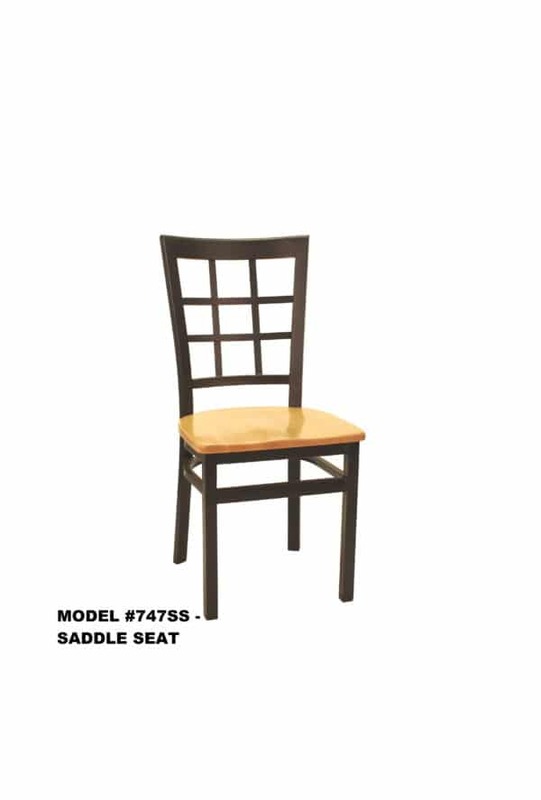 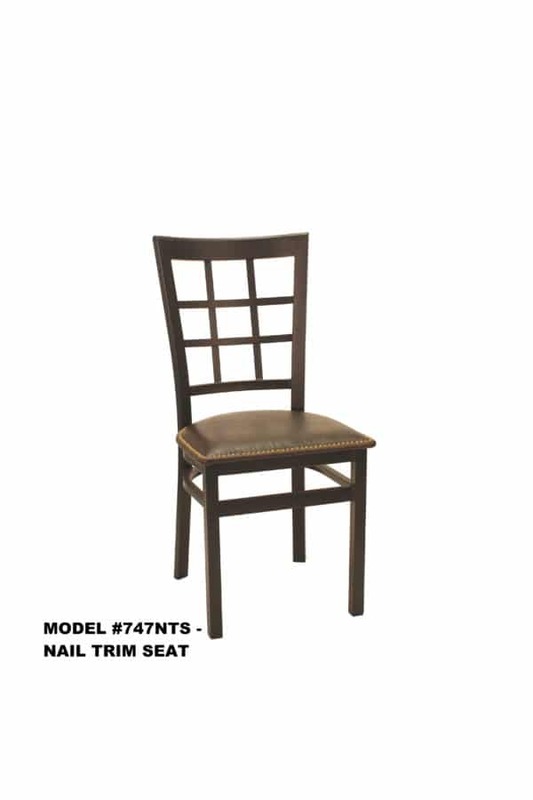 Heavy Duty Window Pane Back Chair – Model 747 – Restaurant Chairs by M. Deitz and Sons, Inc. 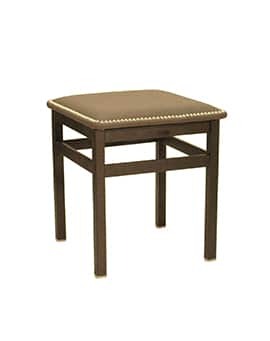 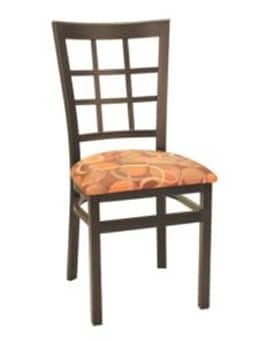 This heavy duty window pane back metal side chair is built to hold up in hospitality environments. 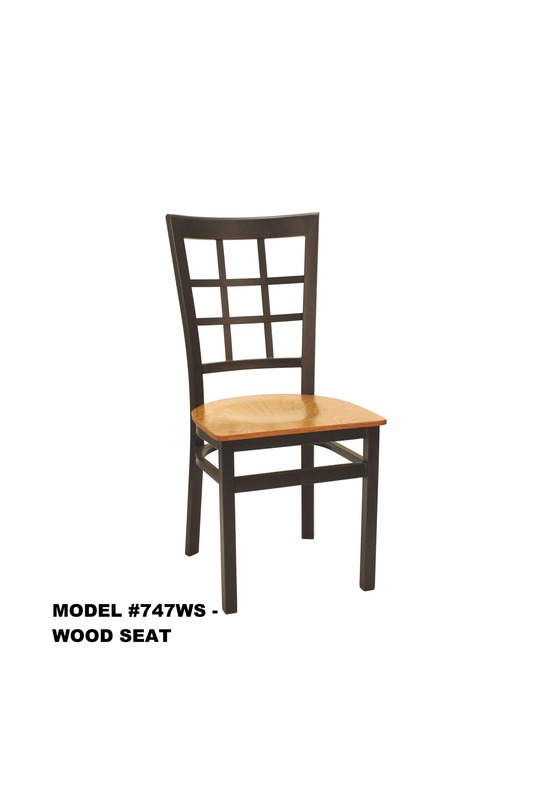 All joints are thoroughly welded and the frames are available in a black textured powder coat finish. They can be ordered with a finished plywood seat, finished solid wood saddle seat or with the seats padded in a variety of ways. 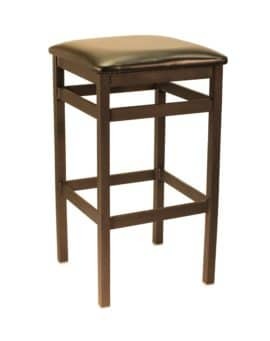 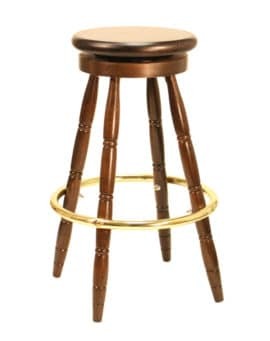 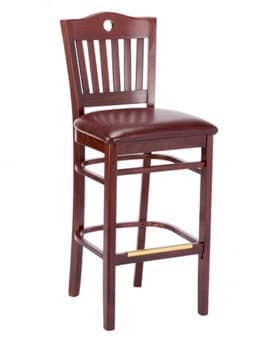 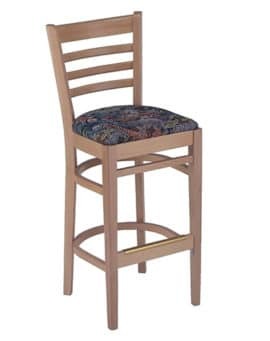 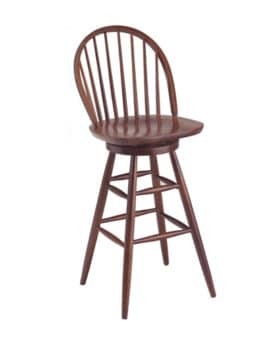 Matching bar stool and complementary backless lounge chairs and backless bar stools are also available.